Portmarnock Sub-Aqua Club (PSAC) was founded in 1983 with the aim of bringing the sport of Scuba Diving to North County Dublin. We have over 50 members with a wide age profile and an even male/female split. 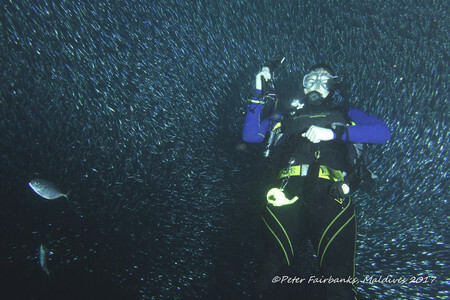 The dive season runs from March to October. We offer weekly diving in Dublin area and organize weekend trips to interesting parts of Ireland. The club has also organised trips to locations as diverse as Norway, Egypt, Florida and Maldives over the years. Pool training session every week on Thursday evenings at 21:45 in the Portmarnock Sports and Leisure Centre (PSLC). Training involves basic swimming workout, snorkel techniques and diving skills. Snorkelling takes place midweek and on weekends throughout the year in various locations including High Rock or Low Rock in Malahide/Portmarnock, Loughshinny and Skerries. The club has an active social scene and organises a number of ‘get togethers’ throughout the year in addition to the annual BBQ, Pirate Day and Christmas Party. We hold a World Record! Check out our Facebook page for up to date events, photos, videos and more. The club is affiliated to the Irish Underwater Council (Comhairle Fó-Thoinn or CFT), which was founded in 1963 and is the co-ordinating body for underwater diving clubs in Ireland. CFT is the representative body for Ireland in the World Underwater Federation (Confédération Mondiale des Activitiés Subaquatiques or CMAS).